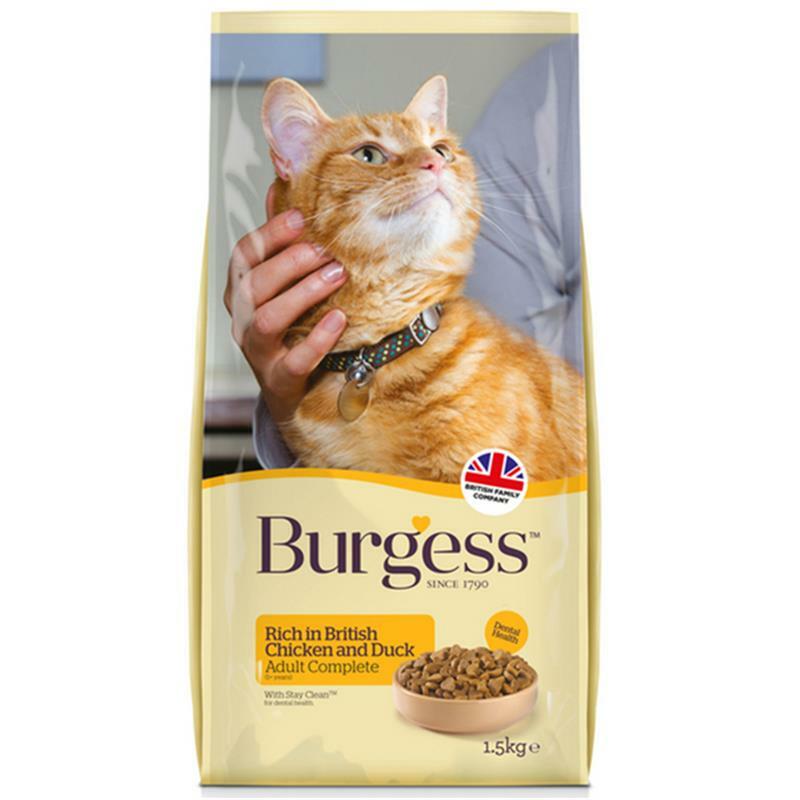 Burgess Adult Cat Rich In Chicken & Duck - 1.5kg. This complete adult cat food is super tasty with STAY-clean for oral health. Contains all the protein, vitamins, minerals and taurine to help keep your cat happy and healthy.